What Does "Nonqualified Retirement Plan" Mean? 3. Do Roth IRAs Lower SS Taxes? 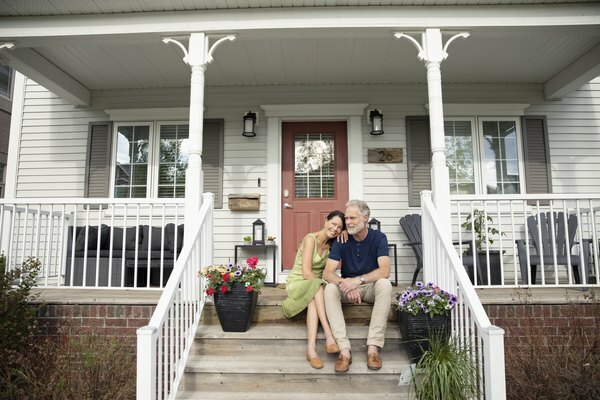 Planning for your retirement covers a lot of bases, including maintaining your current home (or choosing a retirement home), enjoying leisure activities, choosing travel destinations and possibly taking a postretirement job or doing volunteer work. But perhaps the most important consideration as you look forward to your retirement years is the driving force behind funding all these pursuits – your retirement income. That income may come from one source, or it may be divided among several sources, one of which is a nonqualified retirement plan. Both qualified and nonqualified retirement plans are valid investment vehicles. A “qualified” retirement plan is an account offered by your employer, which qualifies under IRS guidelines for certain tax benefits. Generally, the most notable tax benefit is being able to contribute tax-free funds to your account. When you withdraw your funds in retirement, you’ll owe income tax on the withdrawals. Qualified plans, such as a 401(k) plan, typically allow taxpayers an additional retirement savings option to another retirement plan, including certain IRAs. A “nonqualified” retirement plan is an account that may be offered by your employer (or an account that’s offered by a plan administrator), which does not hold tax-deferred money in your account; you pay income tax on the funds before you deposit them into your account. But when you withdraw your money, the funds are tax-free. A nonqualified retirement plan is one type of a nonqualified deferred compensation (NQDC) plan. Your compensation (withheld money for retirement) is deferred (withdrawn at a future date). An example of a nonretirement NQDC plan is a 12-month teacher’s salary for a teacher who works 10 months of the year; part of the prorated teacher’s salary is deferred compensation. Section 409A in the IRS code differentiates between qualified and nonqualified plans and provides guidelines for both. But unlike qualified plans, which are governed by the Employee Retirement Income Security Act (ERISA), nonqualified plans are not governed by ERISA. This gives nonqualified plans wider latitude to determine contribution limits and other eligibility and contributory guidelines. Salary Reduction Arrangements. Participants in this type of NQDC plan choose to receive a portion of their earnings on a future date. In turn, this reduces their current salary. Bonus Deferral Plans. Participants in this type of NQDC plan defer their bonuses (instead of their regular earnings) to a future date. Supplemental Executive Retirement Plans (SERPs). Participants in this type of NQDC plan typically include a company’s upper-level management and/or its highest paid employees. Excess Benefit Plans. Participants in this type of NQDC plan are employees whose benefits are limited by their employer’s qualified plan. With the exception of Simplified Employee Pension IRAs (SEPs) and Savings Incentive Match Plans for Employees (SIMPLE) IRAs, which are qualified plans, other types of IRA accounts are nonqualified retirement plans. An example of a nonqualified IRA account is the Roth IRA. As long as you meet the eligibility requirements for this type of retirement account, you’ll pay income tax on the money that you invest into a Roth IRA – your contributions – but you won’t owe a single penny of income tax on the money that you withdraw from a Roth IRA – your distributions. This offers a benefit to taxpayers who are in a lower tax bracket when they make their contributions than a potentially higher tax bracket they're in at retirement, when they receive their distributions. Section 457 in the IRS Code describes certain NQDC plans that offer tax benefits to participants. These plans are called 457(b) plans, which are further divided into two types: those maintained by governments and those maintained by nongovernmental organizations, which have tax-exempt status. Government entities can be at the state or local level, and they may be political subdivisions or associated agencies. Governmental 457(b) plans, which are nonqualified plans, share similarities with qualified plans such as 401(k) accounts. But nonprofit 457(b) plans differ widely from both qualified plans and nonqualified governmental plans. For example, eligible participants in a governmental 457(b) plan include government employees as well as independent contractors who perform services for the government entity. In contrast, eligible participants in a nonprofit 457(b) plan include only a select few employees such as upper-level management and/or other employees with high salaries. Because only top-earning employees are allowed to participate in nonprofit 457(b) plans, these nonqualified plans are also known by their common name – "Top Hat" plans. Employers offer THPs as a perk to certain employees who, in the words of the IRS, are "highly compensated." The IRS defines this type of employee as one who owned more than 5 percent of a business in the current or preceding year, regardless of the employee's actual compensation; or an employee who received more than $120,000 of compensation from the business during the preceding years of 2015 through 2018 (more than $125,000 if 2019 is the preceding year). Golden Parachute Plan. In the event a company is taken over by another company, or merged with another company, a “golden parachute plan” offers top-level executives a lucrative benefits package if they’re terminated by the owners or managers of the newly formed company. Although it’s not specifically designated as a retirement plan, benefits from the golden parachute plan can certainly help fund an employee’s retirement, particularly if the employee is at or near retirement age. Golden Handshake Plan. A “golden handshake plan” is similar to the golden parachute plan, with a notable difference. Golden handshake plans do include specific retirement benefits in an executive’s severance package. Golden Handcuffs Plan. A company may want to hold on to a valuable, highly compensated employee for a long time. The “golden handcuffs plan” offers incentives to the employee that often carry a time constraint. For example, the employee benefits from stock options that vest only after the employee remains with the company for a certain number of years. Is 403(b) Qualified or Nonqualified? You may be more familiar with a 401(k) retirement account than a 403(b) retirement account, but they’re both examples of a qualified plan instead of a nonqualified plan. The primary difference is that 401(k) plans are offered by for-profit entities, and the 403(b) plan is reserved for employees of churches, public schools (including colleges and universities) and charitable organizations that have tax-exempt status under the IRS Code Section 501(c)(3). The 403(b) is a Tax-Sheltered Annuity plan (TSA) that’s also classified as a qualified retirement plan. Employers who offer these plans to eligible participants may (or may not) contribute with matching funds, whether the match is a full or partial amount. Shopping for retirement plans may leave your head spinning as you consider qualified plans as well as nonqualified plans and the associated eligibility requirements for both options. Without a one-size-fits-all pattern as a guide, your search may begin with a phone call or visit to your tax preparer or tax accountant. You can also visit IRS.gov and search for “help with choosing a retirement plan” to do a little research of your own before making this important decision. Investopedia: What is the Difference Between Qualified and Non-Qualified Plans? Patriot Software: What is the Difference Between Qualified vs. Nonqualified Plans? Intuit TurboTax: What is Considered a "Qualified Retirement Plan"? Investopedia: Is an IRA a Qualified Plan? Intuit TurboTax: What is a "Qualified Retirement Plan"?